I’ve seen curling on the telly! How do I try it? Adults and youth wishing to learn to curl are encouraged to join a Try Curling session. Sessions take place throughout the year. 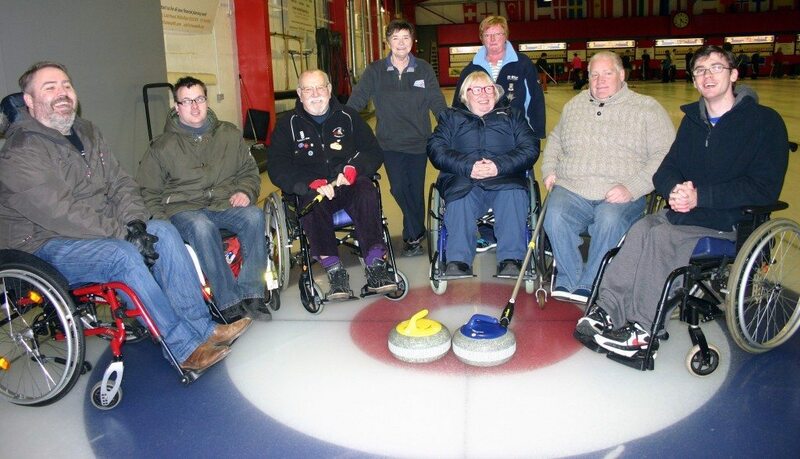 For more on our taster events, visit our Try Curling page. Beginner youth curlers are encouraged to join our Sunday morning drop in sessions. Each session lasts an hour and is free your first visit! For more information, see our Youth Curling page. Anyone! The recommended minimum age is 8-years-old. Delivery sticks allow stones to be delivered from a standing position or from a wheelchair and are available for those with mobility issues. Training sessions, competitions, and clubs exist for all age groups. New curlers should wear warm, comfortable clothes. Loose-fitting trousers, such as track suit/jogging trousers, are recommended (don’t wear jeans! ), along with a jumper and coat. You can get quite warm on the ice, so bring a few layers, as well as gloves and warm socks. Footwear must be very clean and rubber soled. Trainers work well. You will be given grippers (known as kippers) to wear over your trainers for walking on the ice. Coaches and the equipment guide can provide additional information. All other equipment, such as brushes and stones, will be provided. There are more than 80 clubs curling at Murrayfield, so there’s sure to be one that suits your schedule and abilities. Browse our Find a Club page or contact us for help finding the right club for you.